Seagate announced five all-new network-attached storage (NAS) boxes today—the biggest product launch the company has ever mounted in this space, according to a company spokesperson. Seagate is targeting the home office denizen and small businesses with up to 50 employees, offering boxes that deliver up to 30TB of capacity. 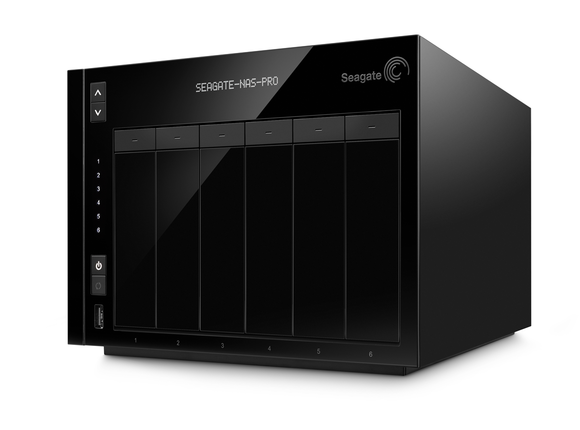 Seagate's NAS Pro is available in configurations with up to six drive bays. Ferguson said all five of the new systems—plus two rack-mount products the company announced last fall—will use the same Seagate-developed operating system: NAS OS 4. The two new Seagate NAS products are two- and four-bay boxes designed for SOHO (small office/home office) users and businesses with 1 to 25 employees. “These are very easy to set up,” said Ferguson. 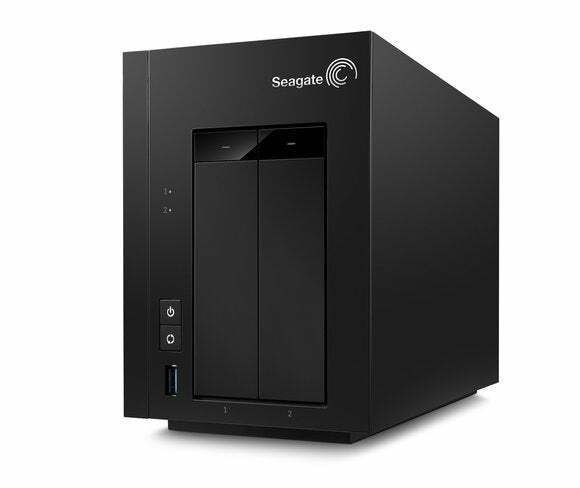 If you can set up email, you can set up a Seagate NAS. You don’t need an IT manager to install or maintain these systems.” Seagate NAS systems will be powered by a dual-core Marvell CPU and 512MB of memory. They come in diskless configurations starting at $169 and top out with 10TB of storage for $699. Seagate’s three new Seagate NAS Pro boxes come in 2-, 4- and 6-bay configurations and are aimed at small businesses with up to 50 employees—but here again, the products anticipate businesses without IT departments. These higher-end boxes will run on dual-core Intel Atom C2000-series processors and 2GB of memory. They come in diskless configurations starting at $349 and top out at a 30TB model (six 5TB drives) priced at $2500. Seagate supports its new NAS boxes with three-year warranties. All five products will include support for Seagate’s App Manager (for installing add-on applications from Seagate and certified third parties) and Seagate’s Sdrive (a utility for PCs, Macs, and mobile devices that enables the NAS to appear as an attached drive, even when you’re accessing the NAS from the Internet). “You can use Sdrive over your local network or over the Internet,” Ferguson said. “It’s like having a private cloud inside your office that you don’t have to pay for again and again.” To ensure your files are secure in transit over the Internet, Sdrive encrypts the file before sending it over the network and decrypts the file when you open it. The new Seagate NAS and Seagate NAS Pro boxes are available now, but Seagate’s 5TB NAS drives—needed to achieve the highest storage densities—won’t be available until sometime in August.